Who doesn’t love to dive into a hot, gooey, savory taco? Whether it’s for breakfast or late night, served on a soft or hard shell, from a local taqueria or one of your favorite food trucks, there’s always seems to be a variety to please everyone. But do you know the history of tacos? Where did tacos originate, by whom, why and when? If you are like most, you have no clue. Because of that, today we’ll dive into this controversial subject. The beloved taco is a mainstay of Mexican cuisine, so it might be surprising to learn that tacos don’t have a very long history. Especially compared to other Mexican foods which many date back to Aztec times. It is believed that the origin of the taco started in Mexican silver mines which places them some time in the 18th century, however even famed taco author, Jeffrey M. Pilcher doesn’t know for sure. Professor Pilcher’s hypothesis comes from the fact that the first type of taco was “taco de minero,” which translates to mean miner’s tacos. In Mexico, the word taco is used as a generic term like the English word sandwich. By definition a taco is a traditional Mexican dish consisting of a corn or flour tortilla folded or rolled around a filling. Tacos are made with a variety of fillings. Fillings includes beef, pork, chicken, seafood, vegetables, and cheese. This allows for chefs to provide awesome versatility and variety. In regards to the word taco, according to the Real Academia Española, publisher of Diccionario de la Lengua Española, the word taco describes a typical Mexican dish of a corn tortilla folded around food. The history of tacos in the US starts around the 1880’s. This is when Mexican immigrants moving to Texas and California began selling tacos. First to festival goers and then later to tourists who were interested in the tastes of Mexico. The ingredients that were used evolved in the first half of the 20th century, depending on agricultural and ethnic-origin factors. The first printed mention of tacos came in the form of a newspaper article in 1905. It was around this time that Mexicans had started migrating to the US to work in the mines and on railroads. Even in the beginning, Americans often looked at Mexican food as street food. In 1952, Glen Bell started selling tacos from a stand he called Taco-Tia. Although he didn’t know it then, this taco stand was the beginning of a major revolution in the history of tacos. Up to this time, tacos were still made with soft tortillas. Bell has explained that he came up with the idea to fry tortillas in a U-shaped form, thereby inventing the hard shell. Some have disputed his claim, but the hard shell, which was easy to fill, quick to serve and had a long shelf life, was here. If you haven’t already guessed, Glen Bell went on to found Taco Bell. His first store opened in 1964. After more than a decade of successfully franchising his stores, he sold the company to PepsiCo in the 1970s. Much like the history of tacos, pinpointing the exact date of the first taco truck is a difficult. Raul Martinez is credited with opening the first taco truck. In 1974 Martinez converted an old ice cream truck into a mobile taco station. He had the brilliant idea to park it outside of a Los Angeles bar. His idea was a huge success and after only six months of working out of his truck he was able to open a restaurant, King Taco. On the heels of his success, taco trucks became a familiar sight in California and the southwestern U.S. It didn’t take long for other food businesses to catch on to this strategy. 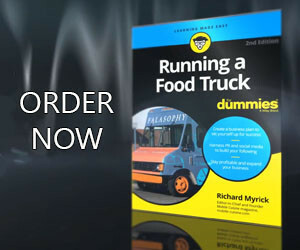 In the early 2000s the food truck trend became an international phenomenon. For those of you familiar with Roy Choi and his influence on the history of tacos, you need to remember this. Kogi BBQ didn’t take off overnight. After Choi’s friend and partner, Mark Manguera came up with the idea of mashing up Korean BBQ and Mexican tacos, the Kogi truck began selling tacos on the streets of L.A. It was slow at first, but one night in December of 2008, the truck pulled up outside the UCLA dorms during finals. There were a thousand kids out there. It kind of created a groundswell. After that night they started going out to Rosemead and Venice. That was just another turning point in the history of tacos. It was also when the gourmet food truck industry began. Tacos are controversial, symbolic, historic and absolutely delicious. So, take a moment to reflect on the history of tacos the next time you place your order at that late night taco truck.